360 stunts look cool when perfected but when it doesn't work out, it's anything but cool. American BMX star T.J. Lavin was generating millions net worth from his amazing backflips and hip-hop paced bike riding until that ill-fated moment when he suffered a tragic accident. How did he come back from the life-threatening injury? The American BMX rider is known for hosting MTV’s reality game show The Challenge since its eleventh season. He is praised for his passion for adventure sports and has a video game named after him, MTV Sports: T. J. Lavin's Ultimate BMX. 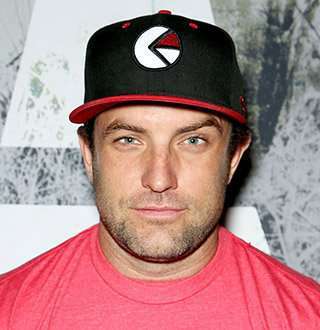 In addition to being the subject of A Film About T.J. Lavin, the host also set a recognition as an actor and composer in Beast: A Monster Among Men in 2013, Freak Accident in 2007, and Nitro Circus in 2009. Read Also: Brooke Hogan Nearly Married Turning Boyfriend Into Husband; Why Didn't She? The passion for riding came easily to T.J. He has been in the profession ever since he was a teenager. He boasts his presence in television as well as in music. Amidst his hyped-up career, he relishes a net worth of $9 million including his salary from MTV. The passion for the exotic sport as BMX riding came early to Lavin. Born as Thomas Joseph Lavin on 7 December 1976, in Las Vegas Nevada, T.J fell in love with biking at age 2. By the time he turned 15, he was already racing BMX. He paused racing to try his chance on dirt jumping and the at 19 years old he was already a professional at his newfound gig. And even at 41, he lives his days full in the adrenalin rush. Nothing can stop him, the life-threatening accident didn’t, what else would? T.J Lavin Dances On Thin Ice- BMX Accident Fiascos; Life-threatening Injury! As a passionate rider, Lavin never whined about scratched skins, bleeding wounds and minor injuries as such. But in November 2010, he encountered a significant set back in his riding career. But the set back remained merely a coma rather than a full stop for the passionate BMXian. He was injured at the Dew Tour Championships in his hometown when he failed to get his feet back on the pedal in mid-air of the stunt that caused him to land on his head. The lost balance resulted in brain hemorrhage and orbital fracture. The accident was intense enough to send him to 9 days of comatose. However, he survived the crash like a champion returning back to riding with few months of the accident. The champion rider's flirtation with injury was not over. It's 2018 and still, the love-hate relationship of the rider with injuries remain. He was in the hospital as recently as August 2018 on account of a BMX accident. It might be the frequency he has maintained in getting hurt, that he seems to take the accidents as lightly as jokes. And why wouldn’t he as for him, the mishap was nothing near to life-threatening. Did T.J. Levine's Wife Roxanne Save His Life? Levin is a lucky man to have overcome hazards over and over again. But he is even more fortunate to have a loving wife, Roxanne by his side in all his ups and downs. The couple stayed in a relationship for years before they married on 2 November 2012 on the date they first met. They admitted falling in love at first sight and that they wanted to get married on the very date. How romantic! Though Roxanne brought with her, a daughter, Raquel from her former husband her new partner is not hesitant to shower love upon the daughter as if his own. The father-daughter has an adorable relationship. And for the husband-wife, the chemistry is just lit as the wife is as supportive as she can get in every turmoil he goes down- evidenced by her Instagram post on 28th August 2018. The couple's married life is destined to go a long way, as long as T.J keeps on overcoming accidents and beyond perhaps.